Present state: Demolished, a footpath and cycleway runs through the station site but no evidence of the station remains. Beaumont's Halt was opened on 9th August 1905 to coincide with the introduction of the railmotor service. It had a single short platform with a brick front and wooden sleepers on soil and cinders. Initially there was no shelter. The halt brought some additional passengers to the line. In 1907 a petition was raised to provide a shelter at all three halts and these were later provided. Although the halt never had goods facilities or any sidings, it was used as a distribution point for 'London sweepings'. In those days road sweepings consisted mainly of animal droppings which were used as a fertiliser by farmers. The halt derived its name from the nearby Beaumont Hall. 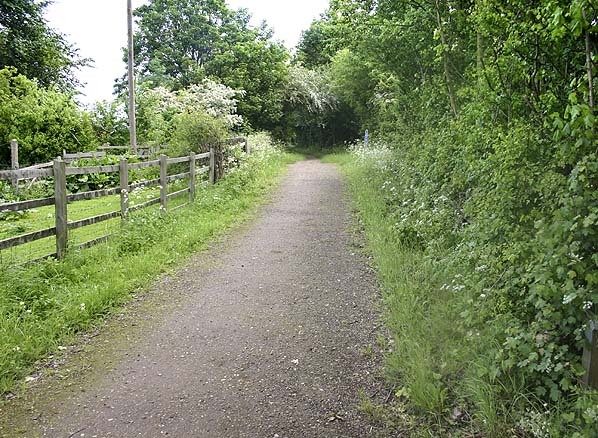 It was located on the south side of a level crossing for an access road to Flowers Farm. The gatekeeper's cottage on the north side of the crossing predated the halt. Unusually Ordnance Survey incorrectly show the halt on the north side of the crossing. 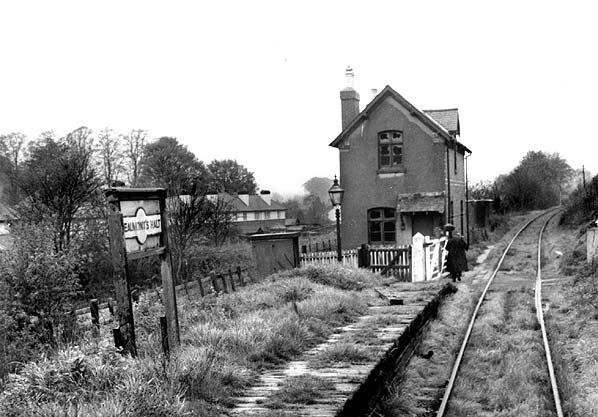 After the closure in 1947 the halt remained intact for some years. 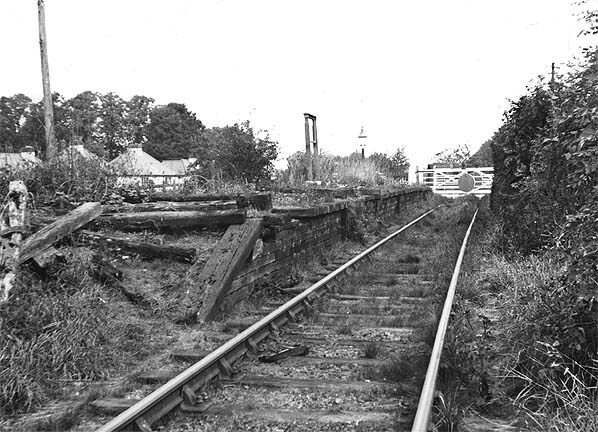 The gatekeeper's cottage was demolished between 1957-1959 and the platform was demolished between 1959-1962. Nothing remains at the site today although a footpath still crosses the track at the site of the level crossing. To see other stations on the Harpenden to Hemel Hempsted Railway click on the station name: Heath Park Halt, Hemel Hempsted, Godwin's Halt, Redbourn, Roundwood Halt & Harpenden. 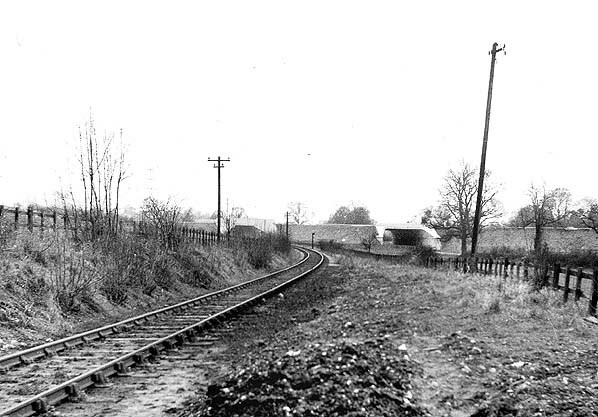 The site of Beaumont's Halt looking south west in February 1962. The first section of the M1 motorway which opened here in 1959 is seen in the background. halt is behind the photographer. 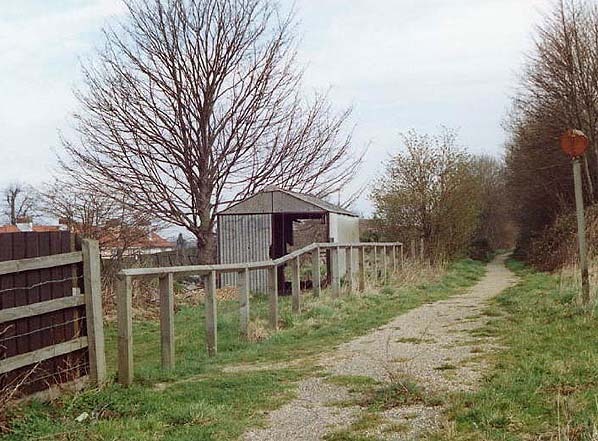 The site of Beaumont's Halt looking north east in May 2006. Taken from the same viewpoint as the 1957 picture above. The site of the level crossing is in the middle distance.